On January 31st I will be holding a tele-town hall with AARP to discuss paid family and medical leave and Nebraskans’ experiences with caregiving. The phone lines will be active from 6:00-7:00 pm that evening. The call will also be streamed on AARP’s Facebook Live page, which you can access here. If you would like to participate in this tele-town hall, please click here to register. 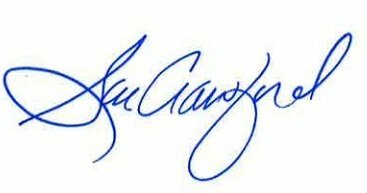 Click on the Paid Family Caregiving and Medical Leave” page under Events. You will be asked to provide your name, phone number, and email so that AARP can call you the night of the event and patch you in to the town hall. I look forward to speaking with everyone who is able to participate. My colleagues and I introduced 739 bills this year, which I’ve heard is the highest number for a 1st session for over a decade. There are also seven constitutional amendment resolutions and four other substantive resolutions, though resolutions can still be introduced after the first 10 days so those numbers will grow. If there are particular bills in that collection that you want to keep track of, our bill tracking tool is a great way to do so! You can sign up for the bill tracker here. The Bill Tracker tool allows you to receive updates on up to 15 bills at a time for free or to sign up for a premium account to track an unlimited number of bills. If you check the box to receive email updates you will be sent a notification when a bill you selected is scheduled for a public hearing and when it is advanced through each round of debate. This week I introduced five more bills for a total of 22. You can see the full list of my bills here. Below is a short summary of what I introduced this week; if you would like more information on any of these proposals, or if you would like to testify at a public hearing, please get in touch. LB 439 requires that Medicaid cover at least 24 chiropractic treatments per benefit year. LB 566 requires the department of insurance to seek legislative approval and authorization prior to applying for and/or implementing a 1332 Waiver, or “state innovation” waiver. State innovation waivers allow states to manipulate the types of health plans that are available on the ACA marketplace. LB 613 is a bill I introduced based on the recommendations of Economic Development Task Force’s 2018 report. The bill effectively changes the end date of the New Markets Tax Credit, Historic Tax Credit, and Beginning Farmer Tax Credit from 2022 to July 2019. I introduced this bill as part of the wider discussion about Nebraska’s economic development framework, and hope the hearing will be an opportunity to assess these three programs. LB 614 is a “revenue raiser package” aimed at providing property tax relief. It provides additional revenue to school districts by eliminating some corporate deductions and exclusions, increasing taxes on cigarettes, soft drinks, candy, and bottled water, and ending the tangible personal property tax exemption. Providing relief to school districts will drive local property taxes down. This is one of the many proposals that have been introduced this year, and I look forward to be at the table for discussions regarding property tax relief as a member of the revenue committee. LB 714 is the other bill that grew out of the Economic Development Task Force’s work in 2018. The bill creates the Nebraska Industrial New Job-Training Act and would provide an avenue to help fund train new employee training. 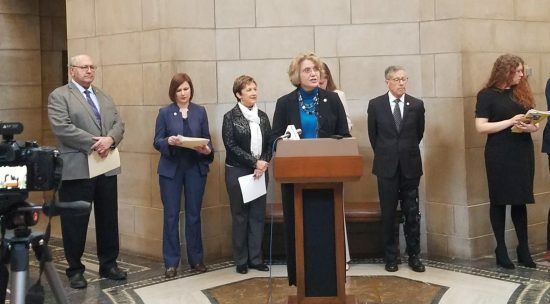 I joined with legislative colleagues and educational advocates on Friday morning for a press conference to highlight bills and budget proposals that will have a positive impact on K-12 education in Nebraska. Those bills included proposals on mental and behavioral health, student nutrition, early childhood education, career education, special education, and school safety. I discussed LB 120, a bill of mine to improve mental health education options for teachers in our schools. This week marked the start of public bill hearings, and I had one scheduled for the very first day. On Tuesday January 22nd the Education Committee held its hearing on LB 122. This bill brings Nebraska into legal compliance with recent federal policy changes by providing that veterans receiving vocational rehabilitation & education services through the VA will receive in-state resident tuition rates as long as they’re living here. I brought this bill at the request of the Department of Veterans Affairs. It is one of a number of bills introduced this year that will make Nebraska a better place for military members, veterans and their families to live. You can find the schedule for bill hearings here. Committees must give at least one week’s notice to the public before a hearing, so the schedule will continue to be updated as the session progresses. On Tuesday and Wednesday this week the Legislature debated and approved our permanent rules. Two small changes were made: the first of which allows the Legislature’s Planning Committee to designate one priority bill each session, and a second which prevents a bill from being killed by unanimous consent without the introducer’s knowledge. Unlike in 2017, where the rules debate dragged on for fully half of the first session, this year’s discussion was concise and business-like. I hope this is a sign of good things to come in the 106th Legislature – a signal that the body is ready to rediscover the habits of collegiality and mutual understanding that sometimes seemed to be lacking last session.